Overpriced EV charging will be tackled under new rules being planned by government ministers for introduction this year. According to The Times, ministers are considering setting common pricing between suppliers of electric car charging stations. According to The Times, ministers are considering setting common pricing between suppliers of electric car charging stations and allowing drivers to access multiple charge points without needing multiple memberships. The move follows the recent consultation on measures to boost ULEV take-up, which would are proposed for inclusion in the Modern Transport Bill and likely to be brought before Parliament early this year. According to a report by the Environmental Audit Committee last autumn, uptake of ULEVs is too low to meet the UK’s climate change targets at the lowest cost to the public and air quality targets that were supposed to be met in 2010 won’t be hit until 2020 at the earliest. 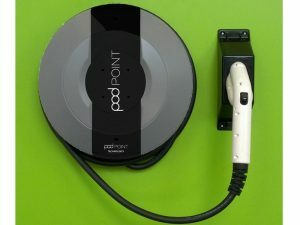 Commenting on the proposed charging measures in a recent interview with Richard Llewelyn on the ‘Fully Charged’ online show, Erik Fairbairn, founder and CEO of POD Point said: “In terms of having a cross roaming agreement so that everyone can charge everywhere – I think that is in the future and that is real. “Money flowing through the charging infrastructure is a key enabler for that because with the various commercial entities that are involved, behind the scenes, probably you have some form of transfer pricing going on and it just means everybody can access everybody else, and the consumer wins.